Born Mar. 16, 1751, in Port Conway, Va.; died June 28, 1836, in Montpelier, Va. American statesman. Madison took part in the War for Independence (1775-83). He was the author of a proposal that formed the basis of the American Constitution (1787). In a series of articles written for the press, Madison defended the new constitution and advocated broadening the power of the central government. After first supporting the Federalists, Madison later joined the Republicans and headed their right wing in Congress. From 1789 to 1797 he was a member of the House of Representatives. From 1801 to 1809 he served as secretary of state in the administration of T. Jefferson. He was president of the USA from 1809 to 1817. 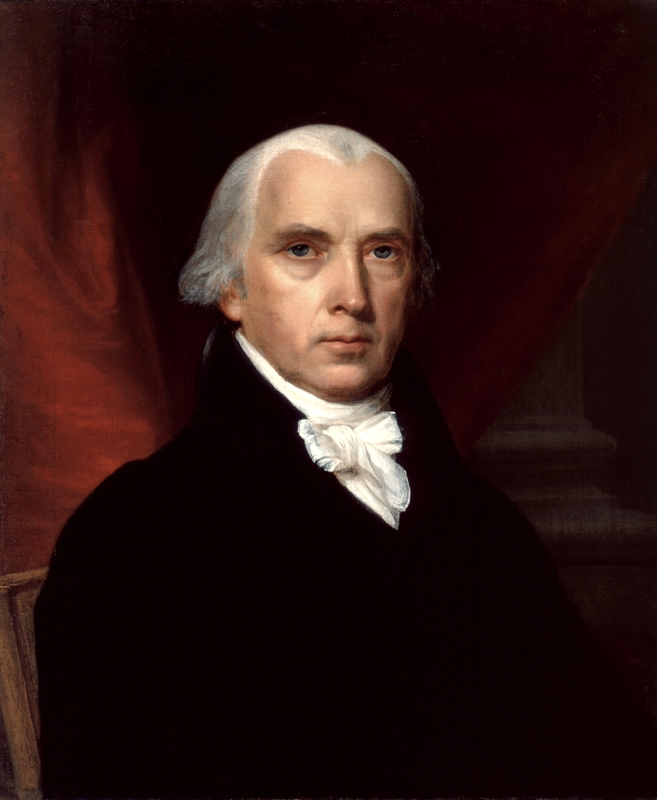 In the first period of his presidency Madison was occupied primarily with foreign policy problems connected with the Anglo-American War of 1812-14. During his second term he advocated the general development of American industry. This entry was posted in Bourgeois Revolutionaries, British Imperialism, Capitalism & Bourgeois Liberalism, History, Imperialism & Colonialism, Internationalism, North America, Theory, United States. Bookmark the permalink.